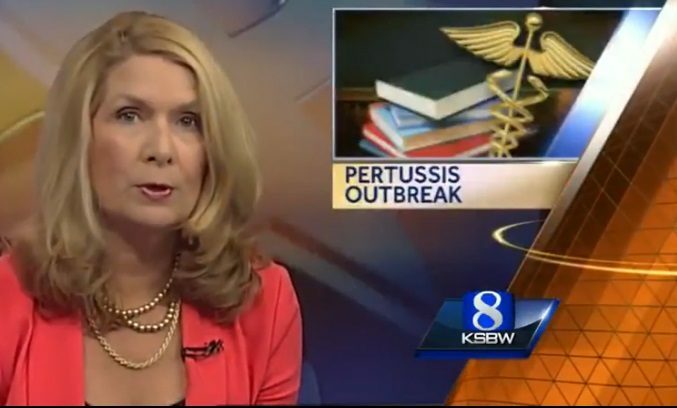 KSBW in Salinas California is reporting this month (March 2015) that four fully vaccinated students at Monterey Park School have been diagnosed with pertussis, or whooping cough. KSBW reports that of the 524 students at Monterey Park, 99.5 percent are vaccinated, including the four students who have been diagnosed with whooping cough. This is not too surprising since it has been well-documented that the current pertussis vaccine is a failure, and that a new pertussis vaccine is being developed to replace it. Incredibly, parents are being encouraged to get the vaccine even though it does not work. In the early 90 's, 3 of my children and myself contracted whooping cough. We had all been vaccinated timeously and all had it very severely. I was born in the 50 's and my children in the 70 's and 80's. Were the serums the same from the 50's to the 80's? I agree, today's American attitude toward vaccination IS like a religion! Logic, or even a willingness to entertain a notion that each and every recommended vaccination might not be exactly required exactly as listed -- even knowing that the makers of that very vaccine state it is out of date and a new one is needed -- no, nothing nothing nothing whatsoever can shake the faith of vaccine believers in their religion, the principal tenet of which appears to be: get all the shots that are available! all shots are good, all questions are bad! Never read, never study, just get all the shots. It's incredible -- in other words, I am not a believer in that particular religion. WOW, a religion for sure. Didn't anyone point out to her that the kids were vaccinated!